The Social Secretary organises a Club Run or weekend away during most months of the year. These can be viewed on the Club Calendar on the Home Page or in Upcoming Runs under the All Events tab. 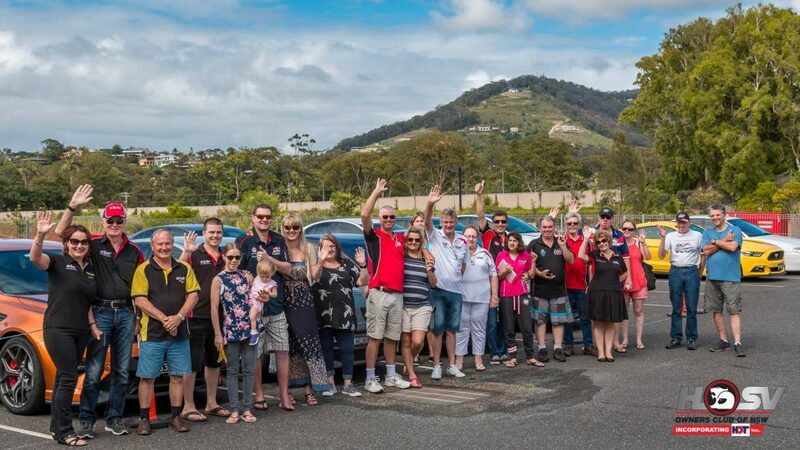 Most Club Runs are Sunday Drives to a variety of interesting locations within a 2 hour drive of Sydney where members can have lunch and socialise. Generally, the runs commence at a meeting point with a drivers briefing and then proceed in a “convoy” to the destination. Depending on the run, we may have several meeting points to make it easier for members to join the run. The Club’s biggest run of the year is the Peter Brock run to Mount Panorama, Bathurst each February in memory of this legend and the first Patron of our Club. Between 100 and 200 people make this run each year around the time of Peter Brock’s birthday. Members are encouraged to purchase and use small portable UHF CB radios which are a help if they become separated from the group due to traffic lights, dense traffic etc – and they are invaluable to stay in touch with the group, to keep informed about what is going on, and to let the group know if you have become separated or broken down. Club runs are conducted at a family friendly pace and within the speed limit. There are run rules in place for the safety and enjoyment of the group. Even though we drive powerful cars, these are not “cannon ball” runs. The Club also organises weekends away. These can be regular annual events such as the Coffs Harbour weekend away in October which is in partnership with the QLD HSVOC or HSV Fest in Albury held over the June long weekend. They can also be special events such as a visit to Bob’s Sheed at Quirindi or to Cowra covering the Japanese Gardens, Abercrombie House and Neville Sidings.